Posted 31 May 2012 in Uncategorized. Who knew that Kirby & Lee’s Thor was published in Israel? Buki also published the X-Men, Iron Man, Superman, and many others. Read more about it in Eli Eshed’s “Hebrew Comics – A History” published on An International Catalogue of Heroes. I’ve included a scan of the original art for that page. Thanks to Lyle Tucker and Paul Power! Posted 22 May 2012 in Uncategorized. 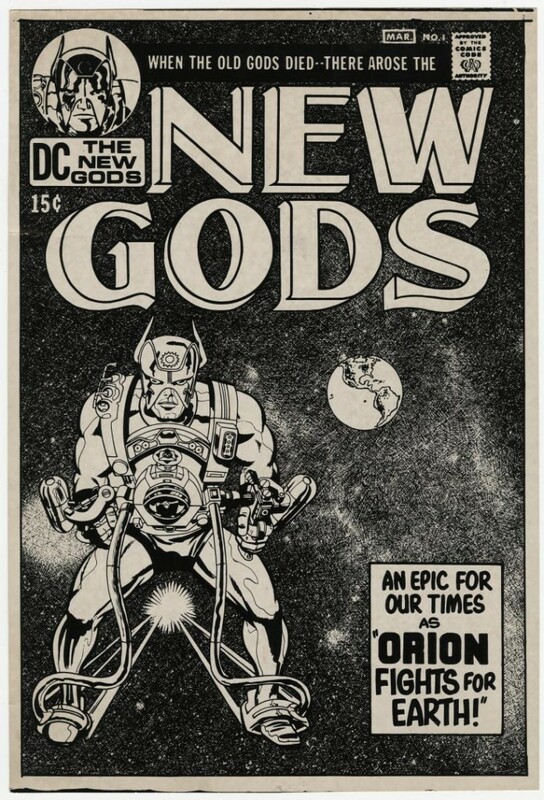 Inspired by a visit a few months ago to Pete Von Sholly‘s home where he allowed me to scan his collection for the Museum’s Original Art Digital Archive, here are some pieces related to the cover to the first issue of The New Gods. First is a piece that Pete saw for sale at Bay Con 1976, but Jack and Roz sold it to someone else (Rod Friggle?). 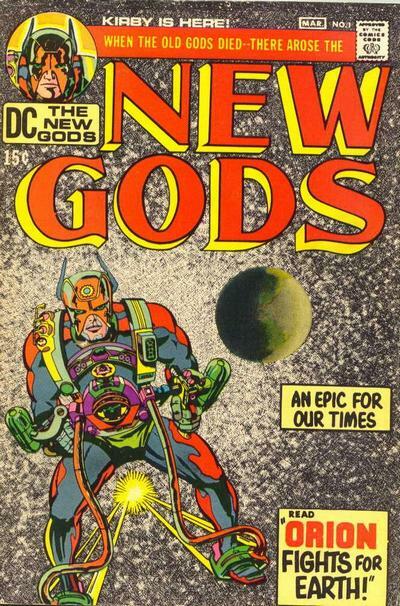 John Morrow published this in his The Jack Kirby Collector 37. Luckily, Roz said they had another at home that Pete could buy, and here it is. 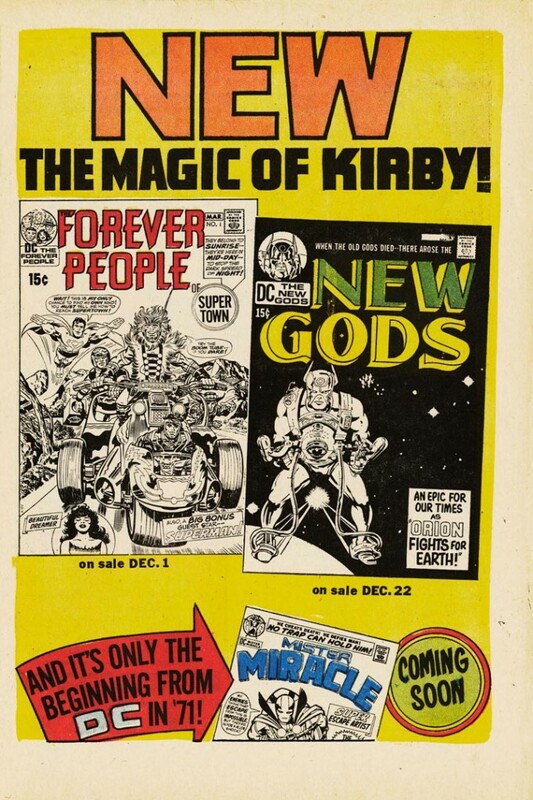 Of course, both of these may be pieces that Jack drew on DC cover board anywhere from 1970 through the purchase date. Anyone have any thoughts? DC promoted the book with a house ad, here scanned from Superman’s Pal, Jimmy Olsen 134, published December 1970. But, see the differences between what was published and the house ad? Well thanks to Greg Theakston’s gift of photostats to the Museum, we have an earlier version of the cover that looks a little more like the house ad. 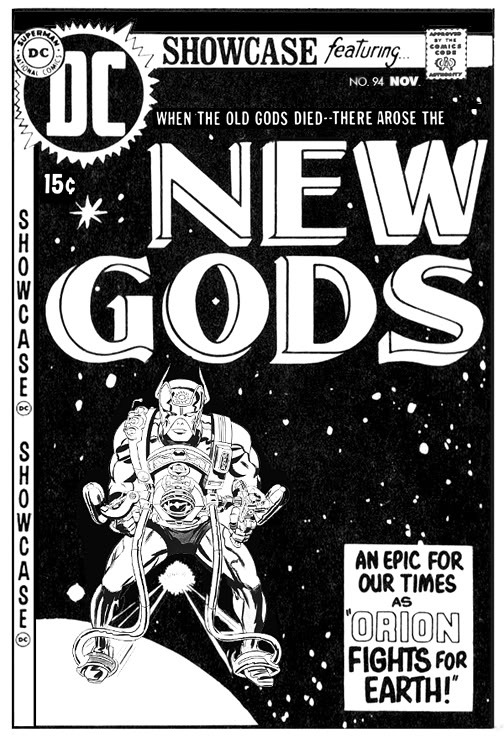 To go all the way back, however, here’s the comp for the cover of the New Gods issue of Showcase (94). Yes, DC originally wanted to introduce what came to be known as Kirby’s Fourth World in Showcase. Image thanks to Robby Reed’s Dial B For Blog! DC printed this in their January 1976 Amazing World of DC Comics “prozine” (10). Scan from Rob Kelley’s Amazing Blog of DC Comics. 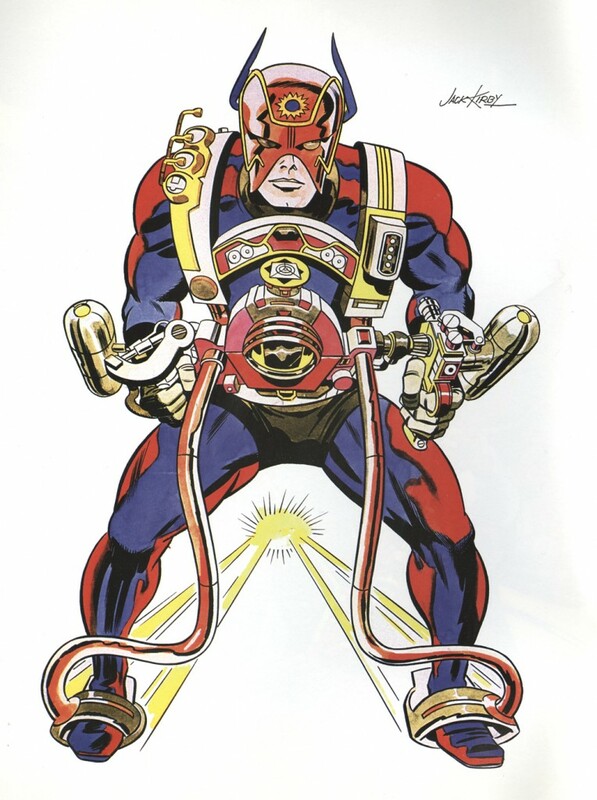 Of course, all of the production versions shown above are based on Kirby’s presentation piece, inked by Don Heck Frank Giacoia and colored by Kirby. 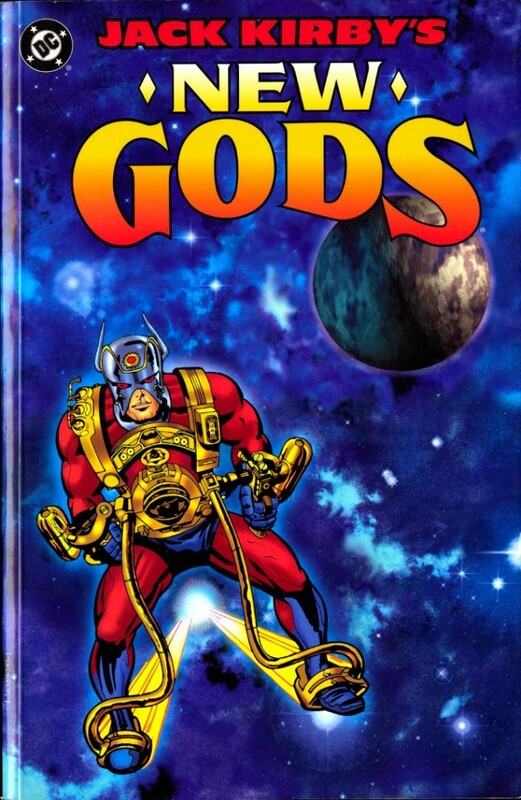 Last is the cover to 1999’s “Jack Kirby’s New Gods” trade paperback, with color by an uncredited artist. If you have any more versions of this cover, especially international versions, please let me know! Posted 18 May 2012 in Uncategorized. 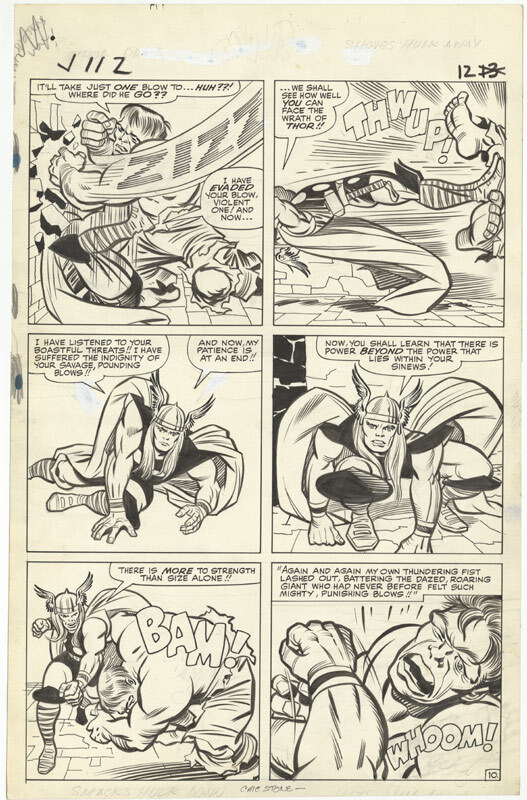 Thanks to the interest of journalist Bruce Bennett, Jack Kirby and the Kirby Museum were featured in an article in the Wall Street Journal’s New York Culture section this past Wednesday. Writer Glen David Gold, writer/designer Steven Brower and I talked with Bruce who pulled together a fine piece regarding Kirby’s place in our culture considering the success of adaptations of his work in recent years, as well as the increase in value of his original art. The Museum’s efforts, especially the Pop-Up project, were mentioned, as well.